Custom-built, luxurious home offering views of the Ocean and the Sound - please see the Special Features Sheet for details! Easy access to the beachfront via a public boardwalk just steps away. Three-stop elevator to the top floor for a spacious living, dining and kitchen area, this space opens out to an elegant curved covered deck for oceanviewing and relaxing. Mid-level master bedroom with en-suite master bath plus two additional guest bedrooms and a full bath. Ground level entrance area into a foyer, the laundry room is also on this floor. Two-car attached garage plus additional storage space and a large concrete patio for cook-outs. 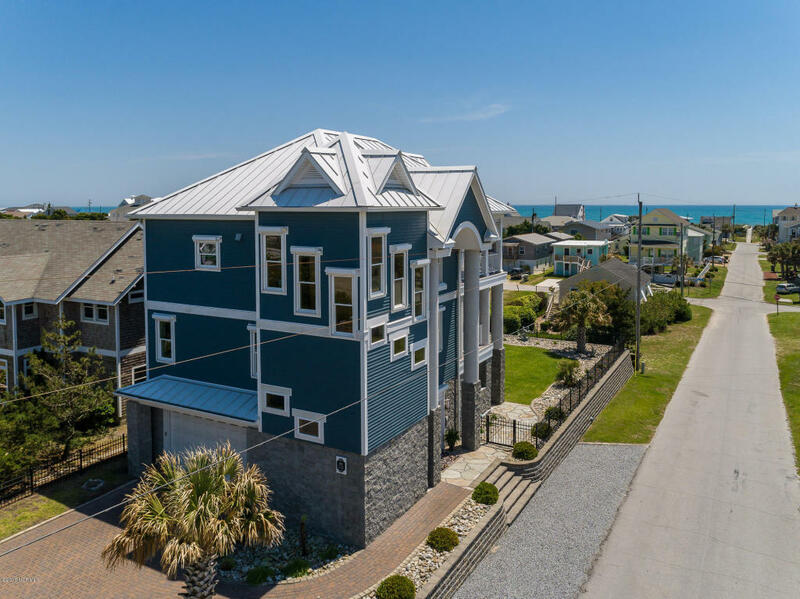 This is a MUST SEE coastal home complete with top quality features!